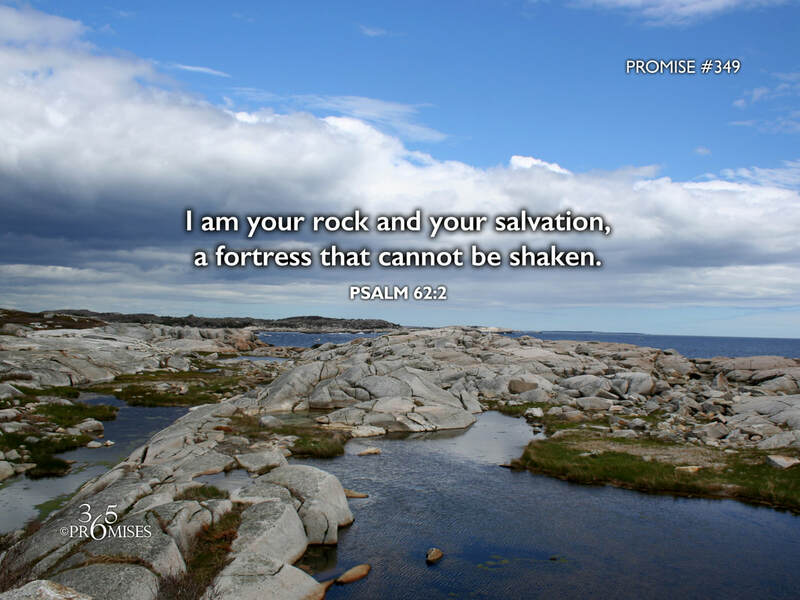 I am your rock and your salvation, a fortress that cannot be shaken. I will never be greatly shaken. God is the only unmovable force in this universe that cannot be shaken. In a world where global economies can come crashing down on a moment's notice, in a world where fragile peace treaties fail, it is comforting to know that our God is our only rock and our salvation. Psalm 62:1-2 in the New Living Translation says it this way... 1 I wait quietly before God, for my victory comes from him.2 He alone is my rock and my salvation, my fortress where I will never be shaken. God is our defense and He alone is a strong tower that can never ever be moved. My prayer is that we would all find great security in this promise today. He will never fail us. Ever. May we stop looking to other things to provide the safety and security that can only come from God and God alone, for He is a fortress that cannot be shaken.